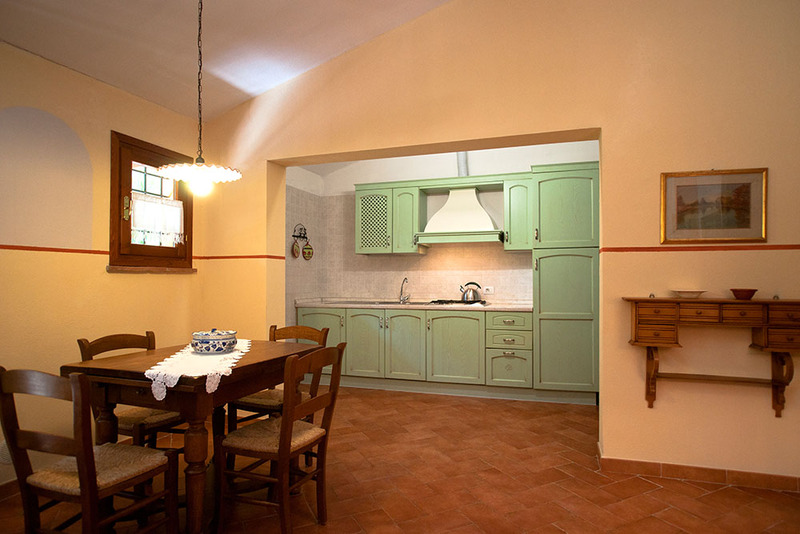 The Farm Holidays Le Pescine in the province of Livorno, is located in the heart of the Etruscan Coast next to the Wine Road, about 3 km away from the sea, and next to the most important Tuscany tourist routes (Volterra, Bolgheri, Pisa, Florence, Siena). 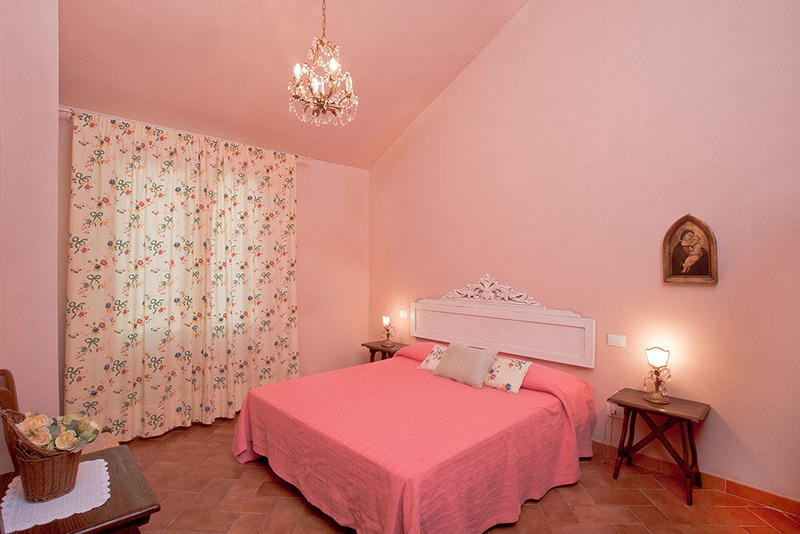 Le Pescine farm holidays have 14 apartments all very comfortable and furnished in a typical rustic tuscan style. Three-rooms apartment ground floor: living room with double sofa bed and kitchen, double bedroom with a single bed added, another double bedroom, bathroom and private gazebo at the entrance of the apartment. 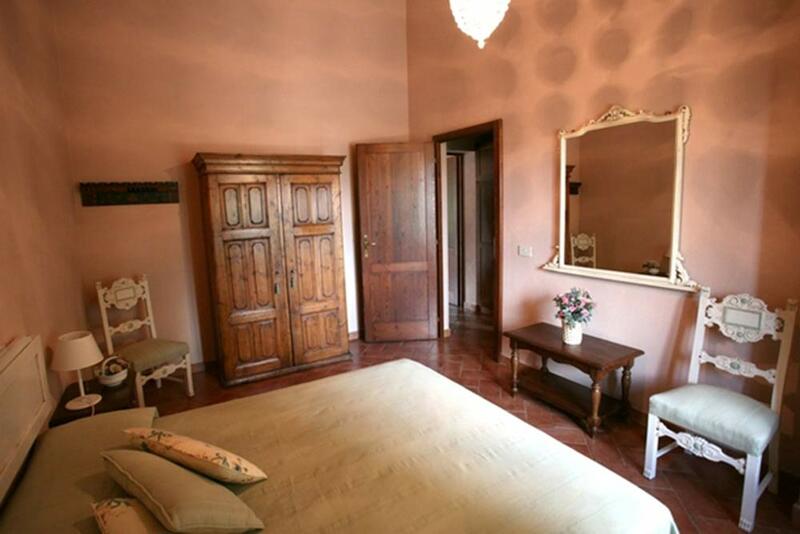 Two rooms apartments groun floor: living room with kitchen, spacious double bedroom with two single beds, bathroom, private gazebo at the entrance of the apartment. Two-rooms apartment ground floor: living room with double sofa bed and kitchen, double bedroom, bathroom and private gazebo at the entrance of the apartment. Two-rooms apartment ground floor: living room with double sofa bed and separate kitchen, double bedroom, small garden, bathroom and private gazebo at the entrance of the apartment. Two-rooms apartment ground floor: living room with double sofa bed and kitchen, double bedroom, small garden, bathroom and private gazebo at the entrance of the apartment. Two-rooms apartment ground floor: living room with double sofa bed and kitchen, double bedroom, small garden, two bathrooms and private gazebo at the entrance of the apartment. Three rooms apartment first floor: living room with double sofa bed and kitchen, double bedroom, another room with bunk bed, bathroom and private gazebo with bbq in the park. Two-room apartments first floor: living room with double bed and kitchen, double bedroom, bathroom and private gazebo with bbq in the park. Two-rooms apartment at the first floor of the cottage in front of the residence, separated by a small country road: living room with double sofa bed and kitchen, double bedroom with a single bed added, bathroom, private gazebo with bbq in the park. Three-rooms apartment at the first floor of the cottage in front of the residence, separated by a small country road: living room with kitchen, double bedroom with a single bed added, another double bedroom, bathroom, private gazebo with bbq in the park. In this page are described the means of managing the website regarding processing the personal data of the users that consult it. This information is also given pursuant to Art. 13 of Leg. Dec. No. 196/2003 - Code in the matter of protection of the personal data of those interacting with the internet services offered by this website for personal data protection, accessible by internet at the address: http://www.lepescine.it/ corresponding to the home page of the official website of Agriresidence Le Pescine. Following consultation of this website, data regarding people identified or identifiable may be processed. The holder of the data processing is Agriresidence Le Pescine, located in Stradone della Macchia, 3 - 57018 Vada (LI) - Tax Code and VAT certificate 00629170499. The person responsible for the processing is Mr. Roberto del Ghianda, located in Stradone della Macchia, 3 - 57018 Vada (LI). Agriresidence Le Pescine, holder of the data collected through its company website http://www.lepescine.it/, processes your personal data in a strictly confidential manner. This data is requested at the time of the request for information, availability or reservation, to be able to offer a professional and efficient service. It shall not be communicated to third parties other than our professional consultants for development of internal company management procedures, but will be used exclusively in order to complete the reservation and provide the commercial information of Agriresidence Le Pescine. Pursuant to the European legislation in the matter, Agriresidence Le Pescine uses strict security procedures in processing personal data, in order to prevent its improper use deriving from any un-authorized access. The computer systems and the software procedures provided for the functioning of this website capture some personal data during their normal exercise, the transmission of which is implicit in the use of the Internet communication protocols. This information was not collected to be associated with identified interested parties, but by its nature, through processing and association with data held by third parties, it may allow identifying the users. This category of data includes the IP addresses or the domain names of the computer used by the users that are connected to the site, addresses in URI (Uniform Resource Identifier), notation of the resources requested, the schedule of the request, the method used in submitting the request to the server, the size of the file obtained in response, the numeric code indicating the status of the response given by the server (success, error, etc.) and other parameters regarding the user’s operating system and computer environment. This data is used for the sole purpose of obtaining anonymous statistical information on the use of the website and to supervise its proper functioning. The data may be used to ascertain responsibility in case of hypothetical computer threats against the website. The optional, explicit, and voluntary sending of email to the addresses indicated in this website leads to the later acquisition of the sender’s address, which is necessary to respond to the request, as well as any other personal data included in the message. Processing the aforementioned data in order to send marketing proposals is performed exclusively upon explicit and informed consent by the interested party. Specific information summaries will be progressively reported or displayed on the pages of the site. No personal user data is purposely captured by the site. No use is made of cookies for the transmission of personal information, nor are persistent c.d. cookies of any type used, or systems for tracking the users. The use of c.d. session cookies (not persistently recorded on the user’s computer and disappearing on closing the browser) is strictly limited to the transmission of session identification (consisting of random numbers generated by the server) necessary to allow the secure and efficient exploration of the site. The c.d. session cookies used in this website avoid recourse to other IT techniques potentially threatening the confidentiality of the users’ navigation and do not allow capturing personal data identifying the user. Your personal data and that of the credit card is transmitted by fax or online through a secure server on a protected and safe channel that takes advantage of the most advanced and modern technologies that make encryption of the personal data and credit card possible. The encryption method used meets "Secure Socket Layer" (SSL) technology security standards. Your credit card data will be stored Agriresidence Le Pescine securely up to the moment of your arrival. Afterward, this data will be destroyed. At any time, you have the right to verify your personal data recorded in our system. You may request your personal data via email at info@lepescine.it in the subject of your email, write "request verification of my personal data." If your data is not correct, it may be modified at your request. You may ask Agriresidence Le Pescine to remove the information concerning you in the database, by sending an email to the address indicated above. For any suggestion or clarification on the security conditions, send an email to the address: info@lepescine.it.